In any leadership position, inside and outside of the church, feedback is a necessary part of every leader’s development. If someone is not receiving feedback on a regular basis, they are not a leader. Leading and receiving feedback go hand-in-hand, and as a leader, learning how to receive, request and process feedback is required for personal growth. Receive feedback from any source, except for anonymous sources. I love surveys, and I love to give and receive surveys. The data collected and mined through a survey can reveal trends, threads and threats in an organization or about any leader. That said, I hate anonymous surveys and comment cards. If someone can’t stand behind their opinion or observation, it’s hard for me to give credit to comments. When someone offers feedback in person or with a signed comment card, I receive it. I may not do anything with it, but I will receive it with thanksgiving. Gratitude is the easiest way to receive feedback before you filter it. Feedback offered from a known source should always be appreciated and evaluated against previous feedback. Request feedback from those you trust and desire to emulate. Too many leaders ignore feedback or fail to seek it altogether. To grow as a leader, you’ll need to request feedback often – you can’t wait for it to always come to you. In fact, some of the people you respect the most might not ever have the opportunity to give you feedback unless you ask for it. I’m a little too obsessed with feedback times, but some of the best feedback I’ve received has been what I have intentionally sought. Every leader should have two or three other leaders that they desire to emulate, and these are great leaders to request feedback from. Send them a video, share your writing with them, and ask them to evaluate your work. Sometimes the best feedback is solicited. Process all feedback carefully before implementing anything new. Have I heard this before? Is this someone who knows my heart? Is this a personal preference or a universal principle? Is this a blind spot? In addition to asking myself these, I also present the feedback I’m processing to close friends. There is no one better at helping me process feedback than my wife. She’s honest with me, even when it might require work on my end. Processing feedback with others and in prayer reveals the right action steps. The better we receive feedback, the better we give feedback. Don’t back down from receiving, requesting, and processing feedback. You’ll be a better leader and a better follower. I’d love to hear how you’re receiving feedback. Comment below. In the world of leadership, giving feedback is not an option. In fact, those who opt out of giving feedback, are in fact, giving feedback. Silence is feedback, but far from the best feedback possible. One of my favorite examples of effective feedback found in scripture is found in Exodus 18. Jethro, the father-in-law of Moses, offers some effective feedback for any leader. While most focus on the wisdom Jethro offers, I want to focus on how he approaches Moses with his feedback. 1. Give immediate feedback, don’t delay. Jethro saw, and he said – he didn’t waste any time. Offering feedback immediately, while the experience is still fresh, is best for everyone involved. The more time between what you observe and what you address only allows more room for misunderstanding or lack of memory of what exactly happened. Immediate feedback is the best feedback. 2. Critique in private and in person, not in public or by text messaging. In Exodus 18:9,12 we see that Jethro praised in public. While I cannot guarantee that Jethro’s critique was in private, there is no mention of an audience. While immediate feedback is best, waiting for the right time makes effective feedback all the more powerful. When a leader offers feedback out of sequence and in the wrong situation, it often falls on deaf or defensive ears. Feedback in person and in private has an opportunity to be more effective than quick, public feedback. 3. Offer suggestions for improvement, don’t leave them wondering. Jethro offered more than his observations, he offered possible solutions. As we read on, Moses received and implemented Jethro’s advice. As leaders we know that is not always the case, but I believe Moses listened because of Jethro’s approach. 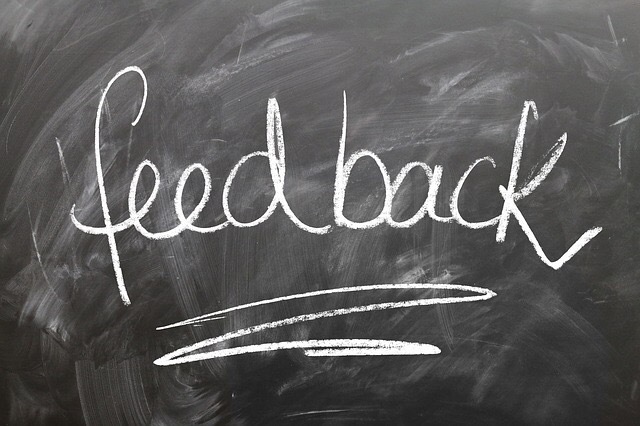 Feedback, without instructions for improvement, only leaves the hearer feeling uncertain of how to improve or to fully understand what is expected. Effective feedback offers more than observations and opinions; it offers advice and solutions. I’ll be writing a post on receiving feedback soon. In the meantime, I’d love to hear how you give effective feedback. Comment below. Admit it; you make mistakes in ministry. I know I have. In fact, sometimes I feel like I’ve made more mistakes than I’ve made a difference, but I’m thankful for the grace of God and for the forgiveness of the people I’ve offended. Being a leader in multisite ministry increases the opportunity for mistakes. There are often more meetings, more distance to travel, more emails to communicate vision and direction, and more logistics that require proper planning. The opportunities for failure are all around, but there is one mistake that is easy to avoid. Ready for it? Here you go: Don’t make a STANCE at first GLANCE! You know you’ve been there. Maybe you were making your way from one classroom to another as part of your teardown process on Sunday afternoon, and you spot one of your staff members just standing there goofing around with one of your key volunteers. “Why aren’t they helping,” you think to yourself. You walk by moments later, and they’re still standing there appearing to be doing nothing. Now you’re frustrated, and you shout out, “It’s okay, we got it!” Have you been there? Maybe it’s just me, but I’ve been there more than I’d like to admit. Perhaps you can’t identify with my teardown story, but I wonder if you’ve experienced this “stance at first glance” mistake from a different perspective. You saw something, created a judgment about what you experienced, and reached a conclusion that later proved itself to be all wrong. Okay, maybe not you but what about someone else from your team? I think we can all admit that we’ve experienced something like this before. So how can we easily avoid this mistake? Here’s what I’ve learned: ASSUME less and ASK more! You know what happens when you assume, right? I won’t go into detail here, but assumption has the potential to destroy any relationship, at any time. When we take the time to ask questions about what we or others have observed or experienced, we can understand more clearly what’s going on. That staff member that was not tearing down on Sunday afternoon and was just standing around tells you that the key volunteer he was talking to was just let go from his job on Friday without notice. What you saw as a prolonged discussion, possibly around Saturday’s game, turned into something much more intense and life changing. What you or others experience in a moment is rarely all there is, assume less about the situation and ask more questions. Have you been here before? How have you learned to avoid the mistake of assumption? Comment below. No matter how much time we spend with Jesus, it will never be enough by itself. Don’t get me wrong; I don’t think there’s anything more vital than time with Jesus, it’s just that I believe He has more for us than His time. In our Christian circles, we throw around phrases like: “I need to have my quiet time with Jesus” or “I just need to be with Jesus”. Great phrases, but what is the outcome of this “time with Jesus” or “being with Jesus”? I believe that Jesus wants to offer more than His time to us. What a beautiful invitation! Jesus invites us to spend time with Him, but that’s not the only invitation in this passage. Jesus also invites us to learn from Him. See, the invitation from Jesus is twofold – spend time with me and learn from me. The secret to finding rest for our soul, and gaining the most from our “time with Jesus” is being in His presence and learning His principles. Just as spending time in the gym doesn’t make me fit, only spending time with Jesus doesn’t produce in me all He has for me. Jesus invites us, not only into His presence, but to also learn His principles. The benefit of being with Jesus is the transformation He brings to our life. When we say, “yes” to both invitations, we experience true rest for souls. So, if you’re spending time with Jesus, you’re halfway there. But don’t just spend time with Him, learn from Him. If you’re not spending time with Him on a regular basis, consider yourself invited. Find a time, find a place, and find a method to track what He’s teaching you. For me, time is in the morning, the place is in my living room, and the method is my journal. Would love to hear what you’re doing, and how you’re responding to this twofold invitation of time and teaching. Comment below.